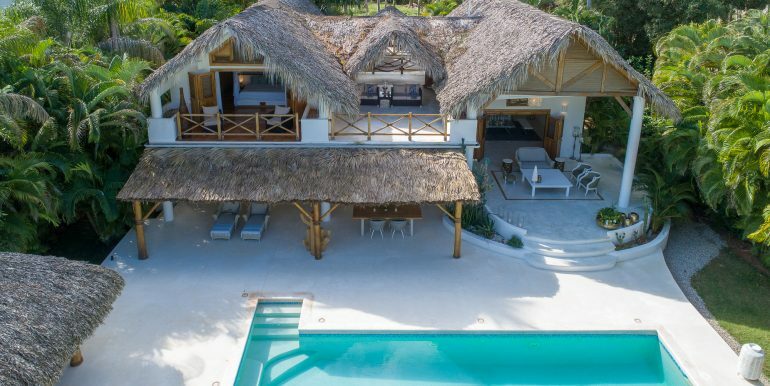 One of a kind villa. 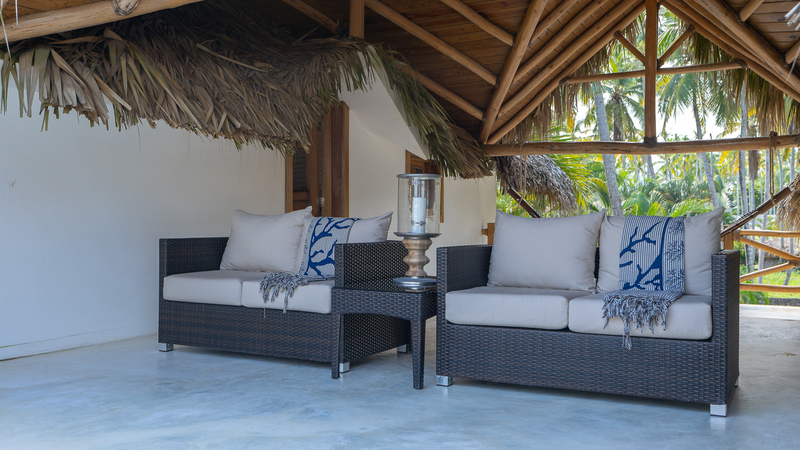 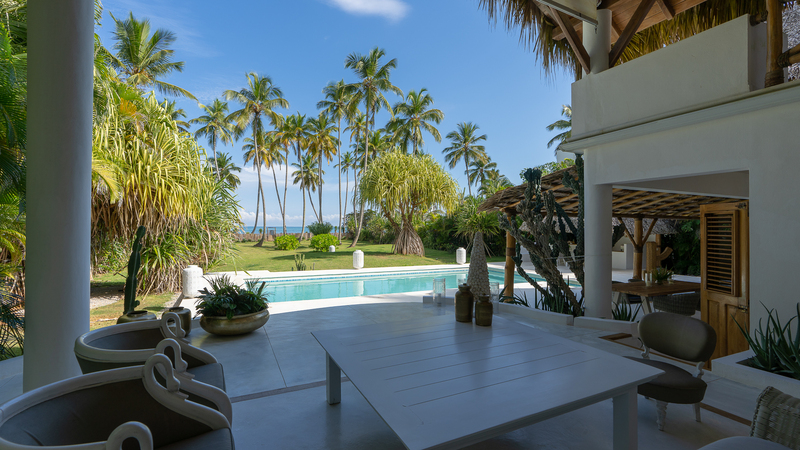 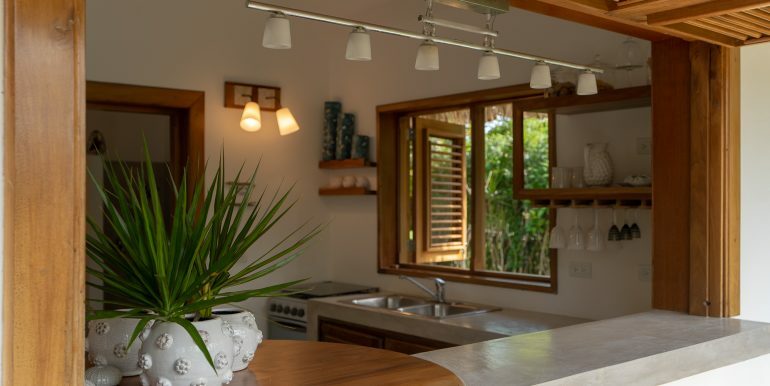 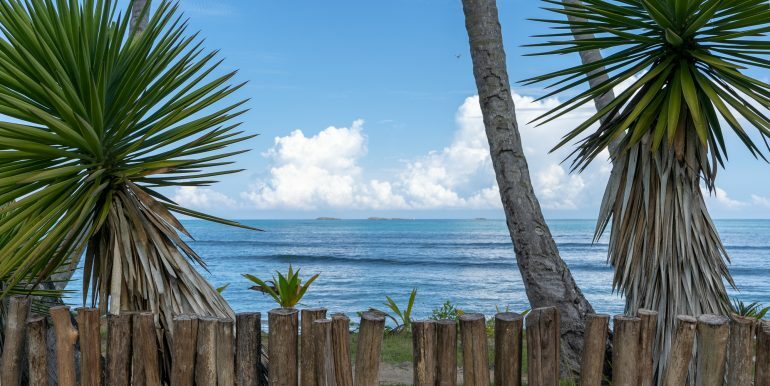 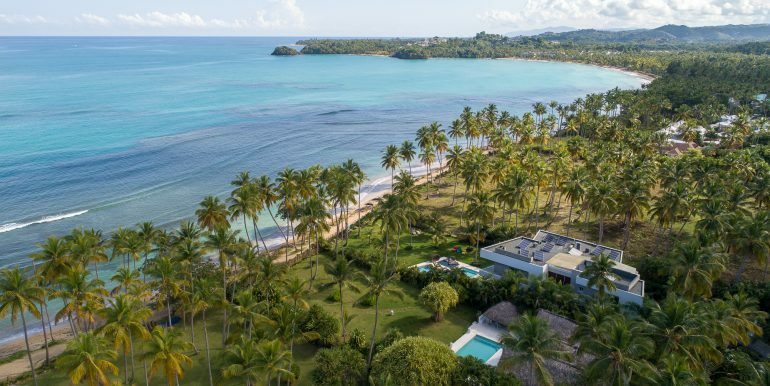 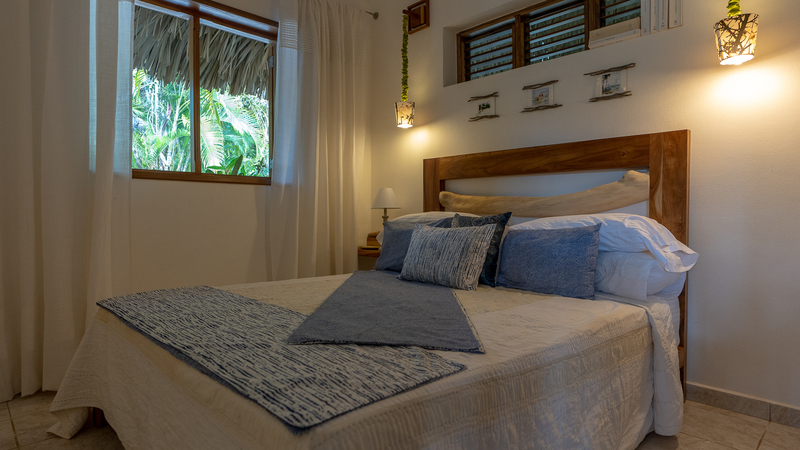 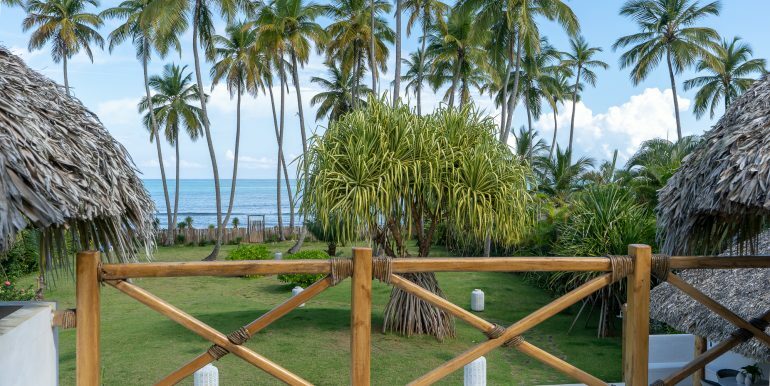 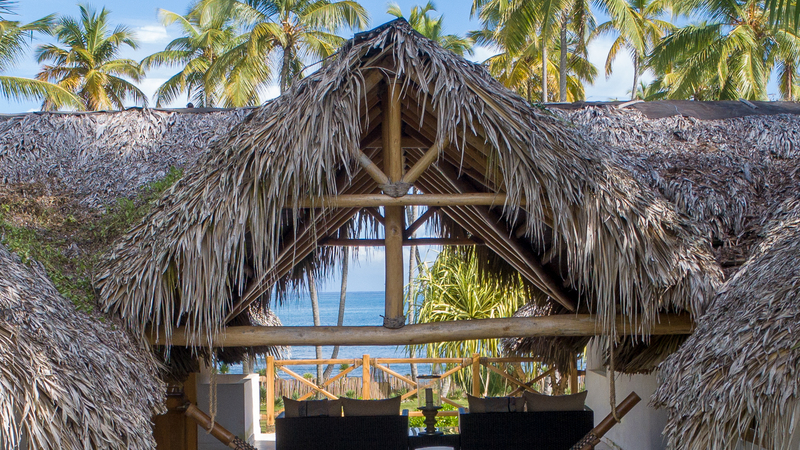 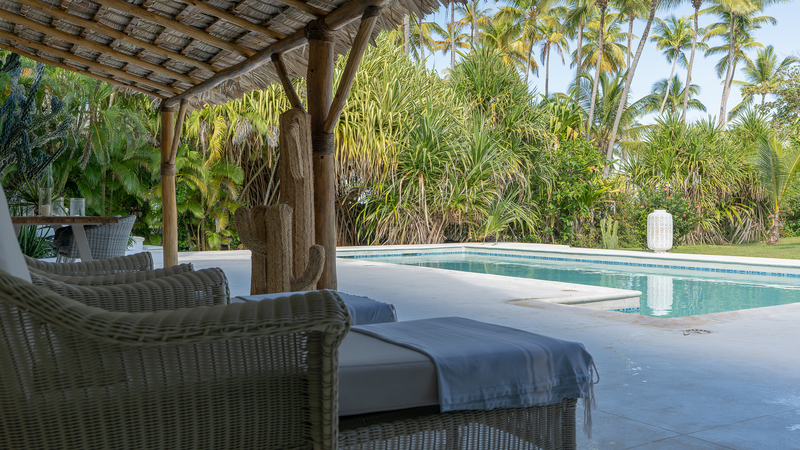 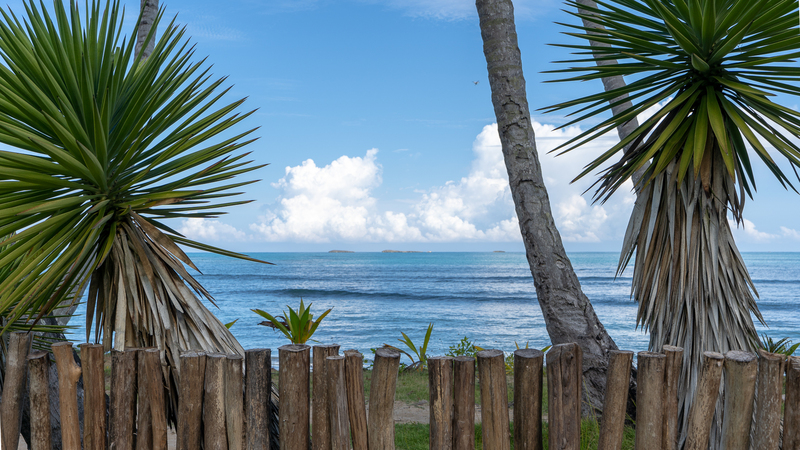 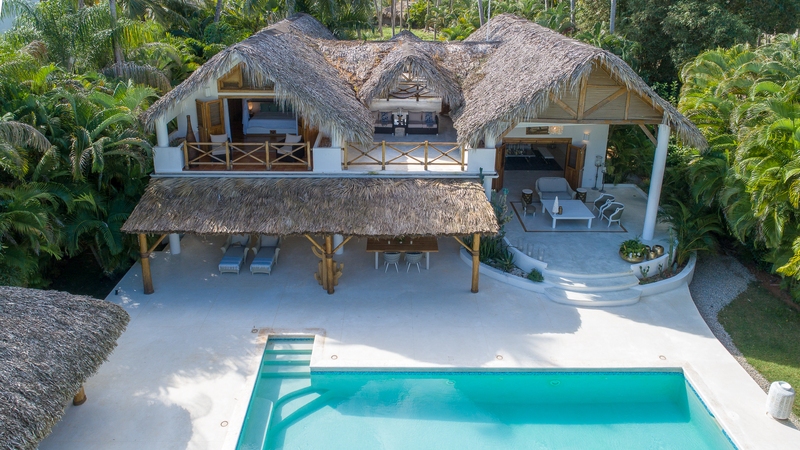 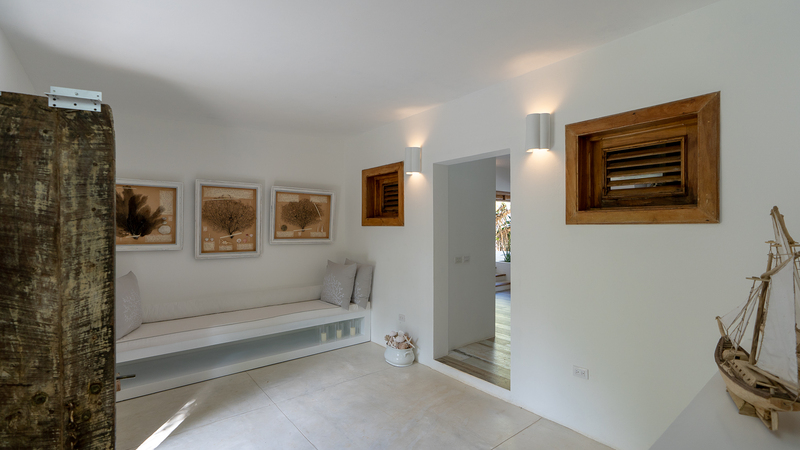 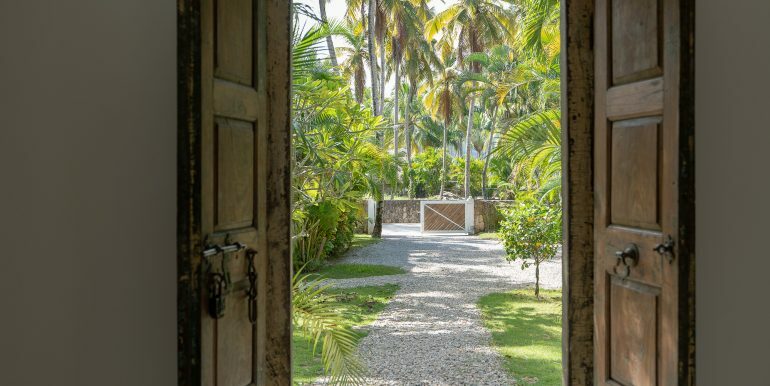 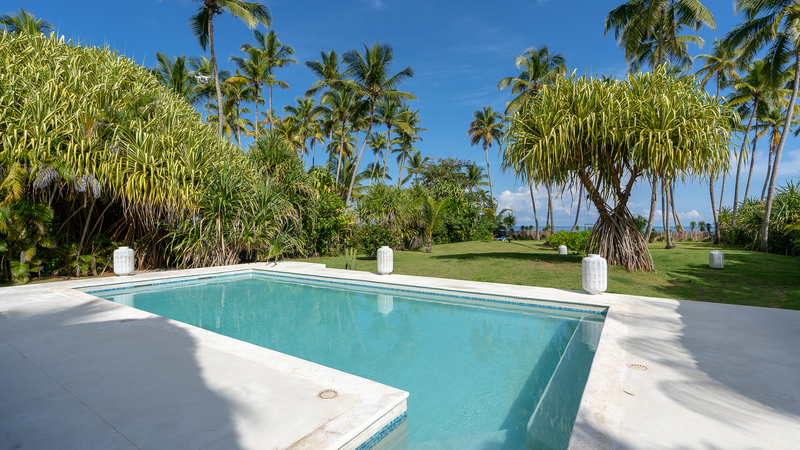 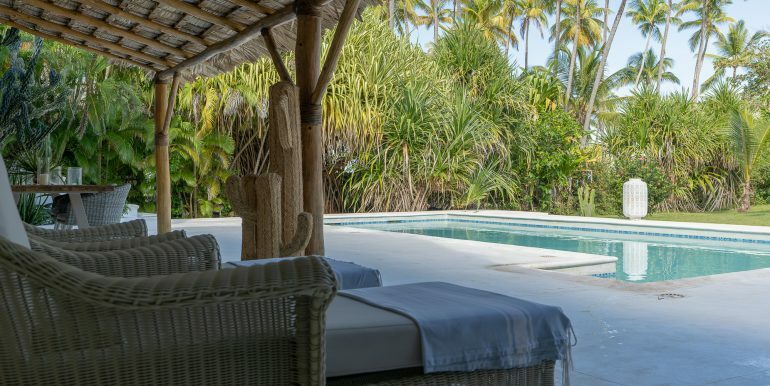 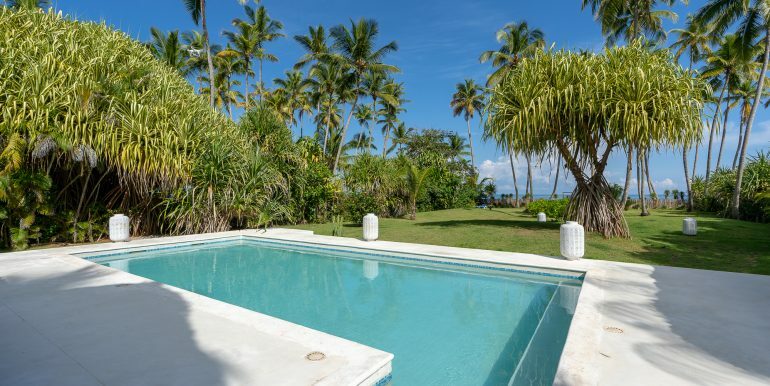 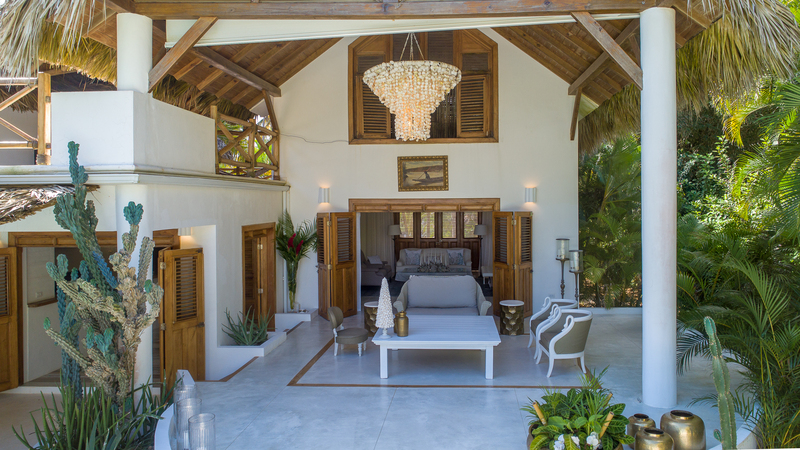 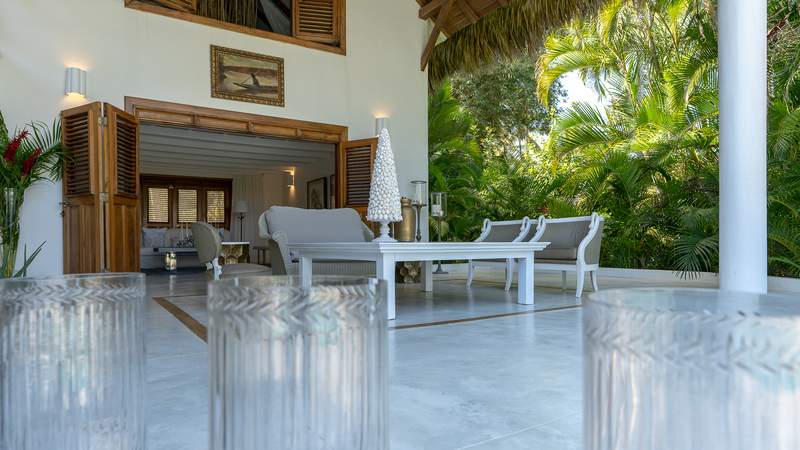 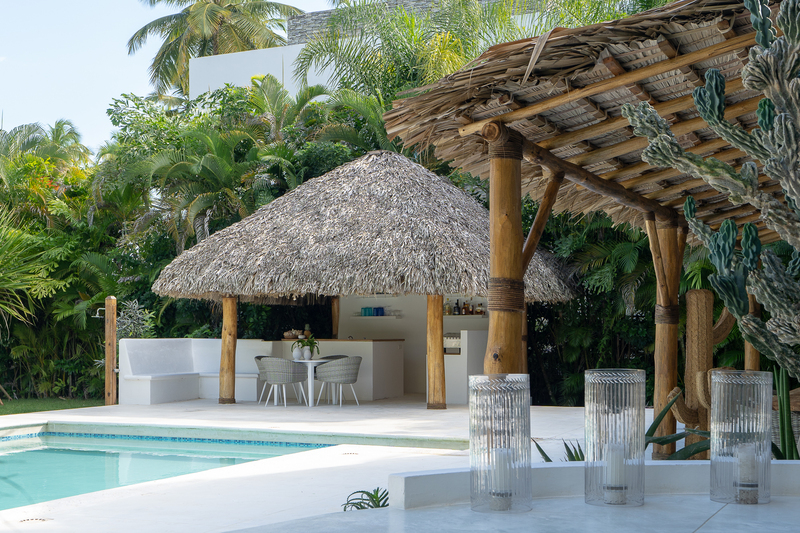 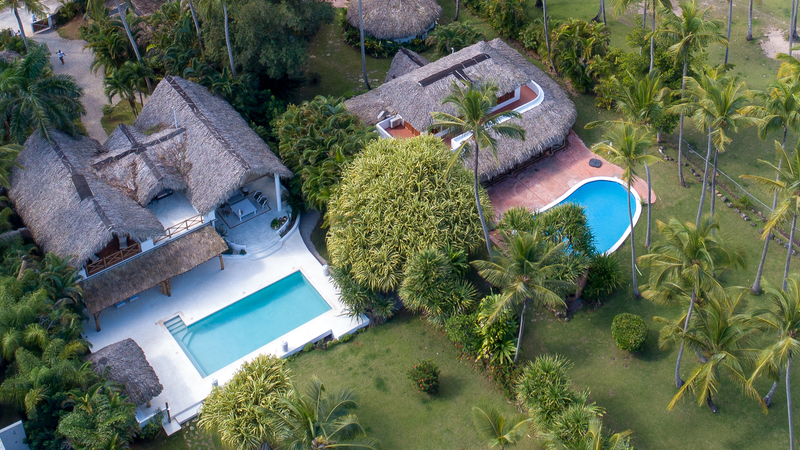 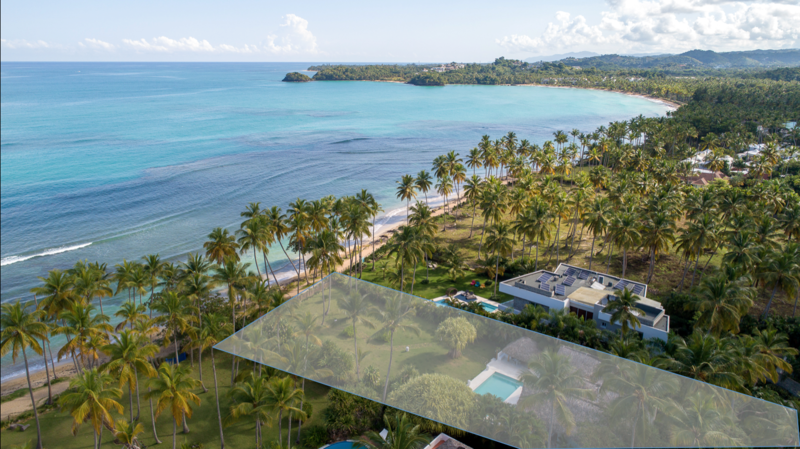 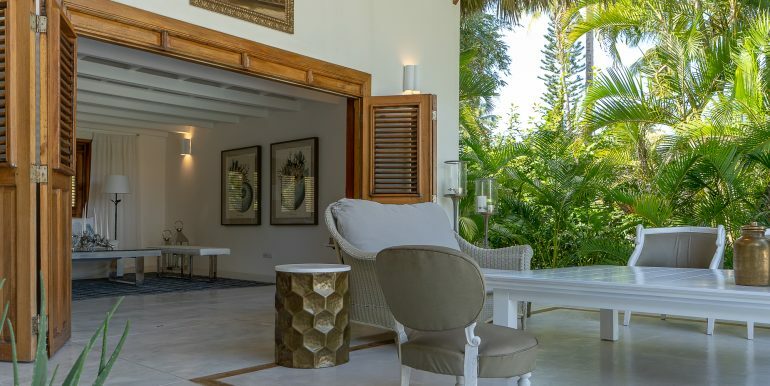 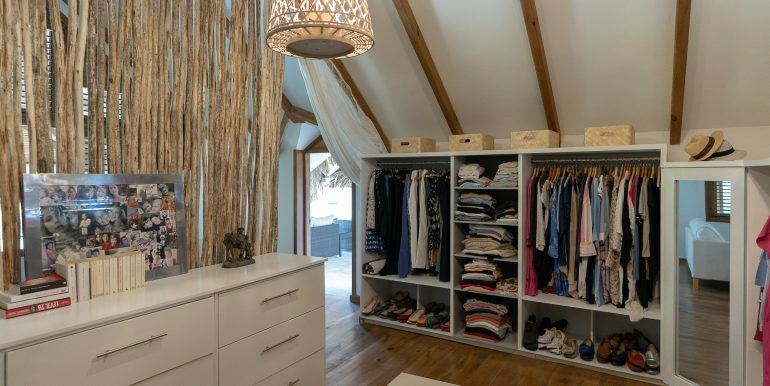 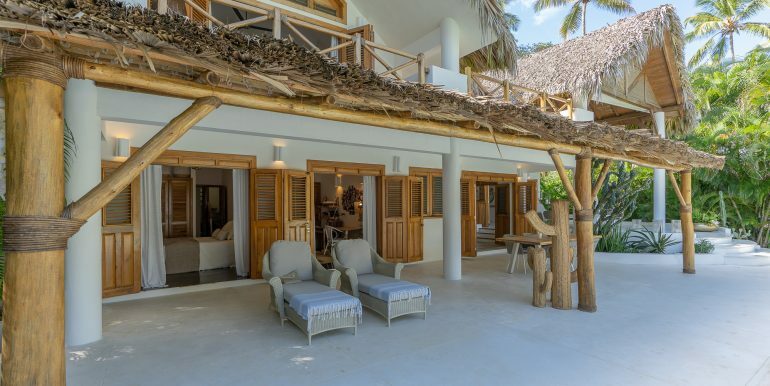 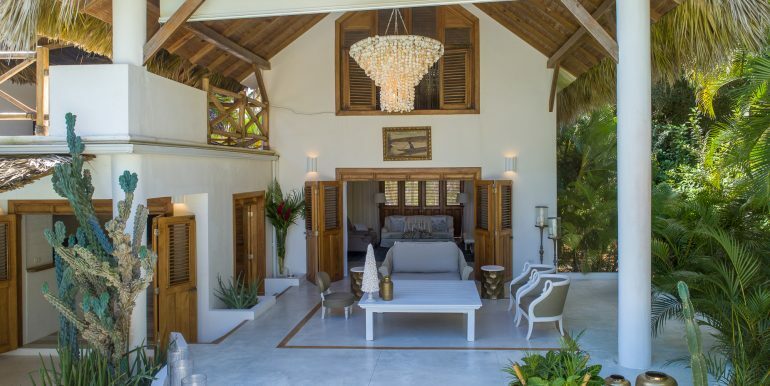 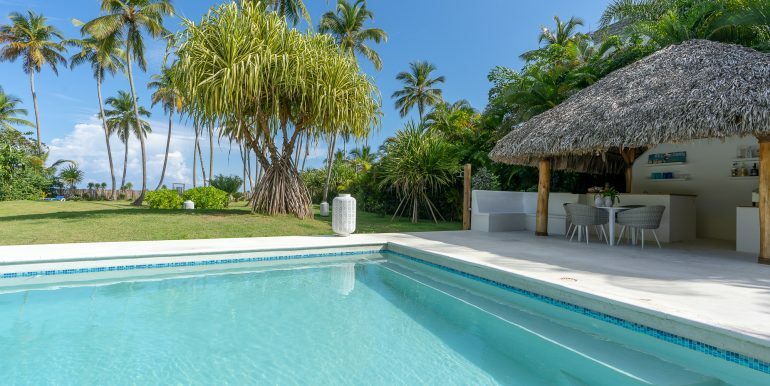 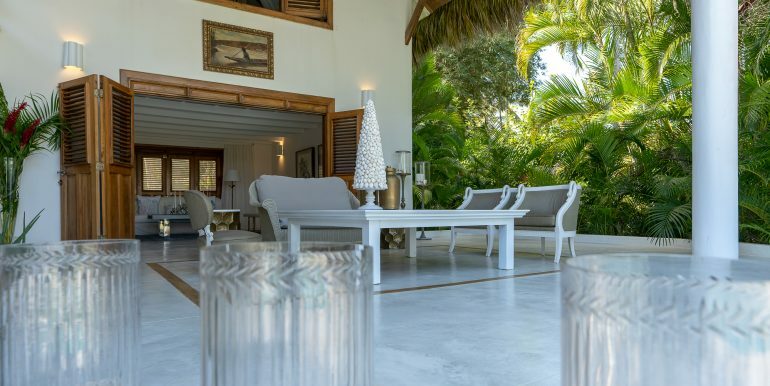 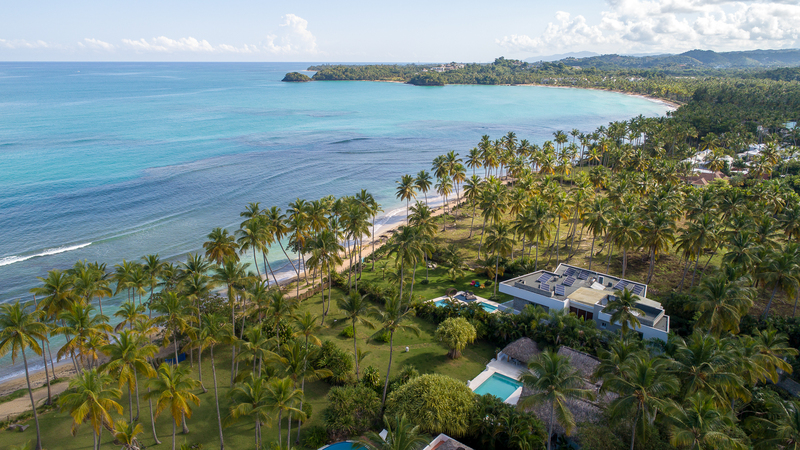 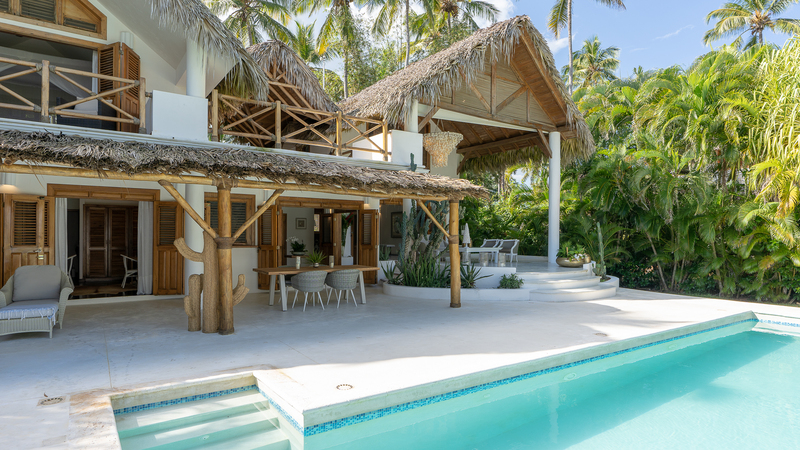 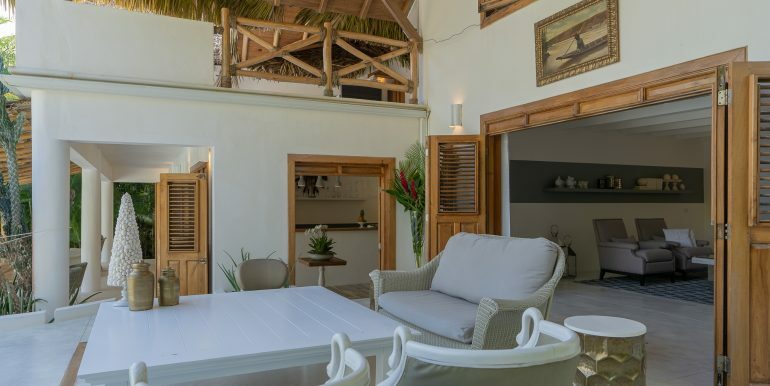 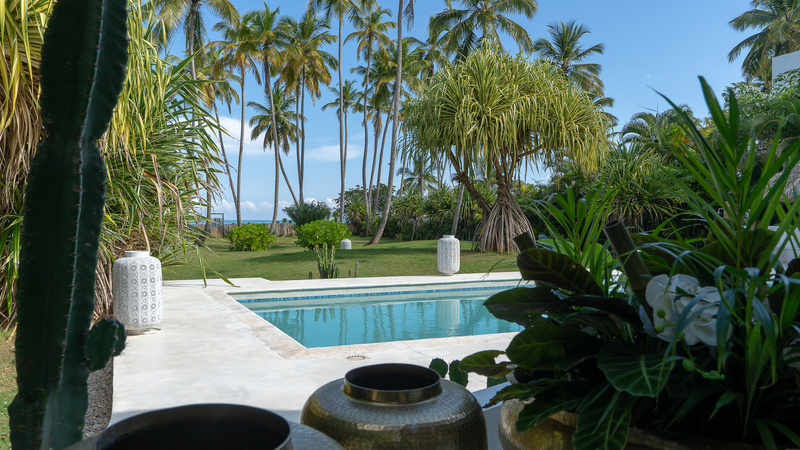 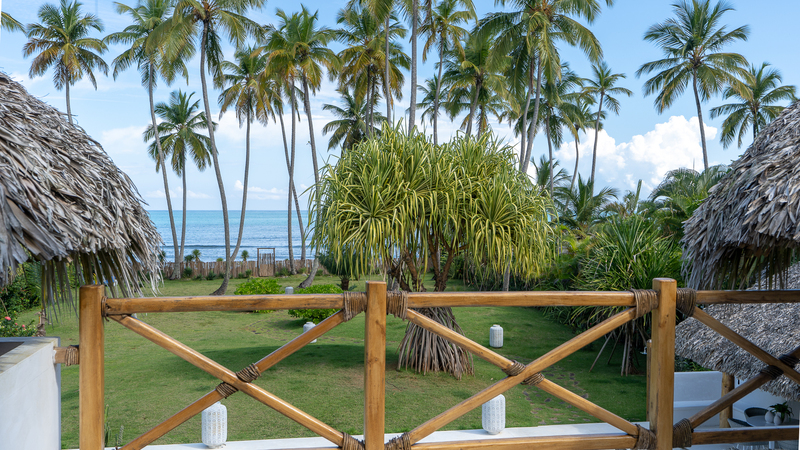 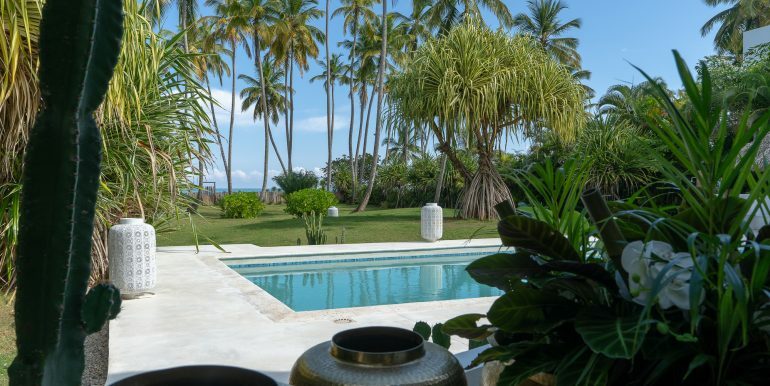 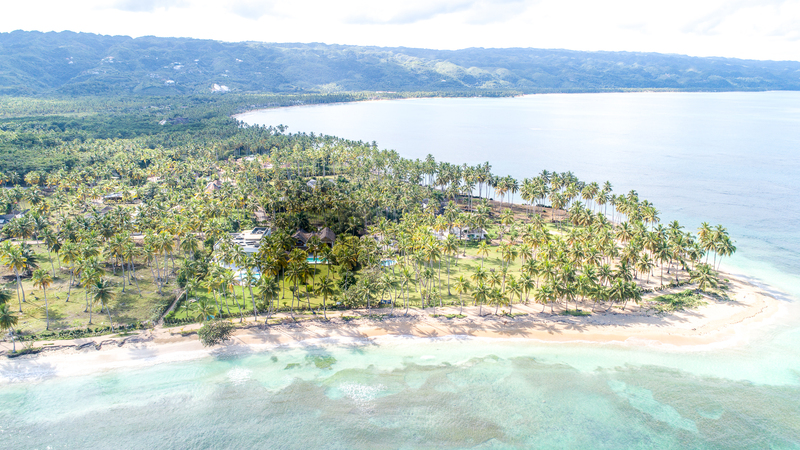 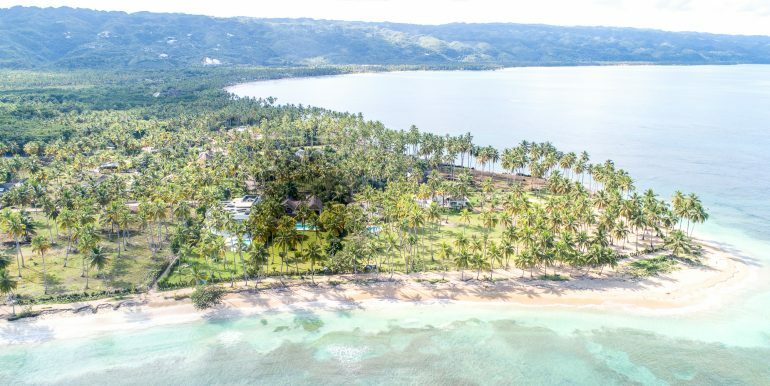 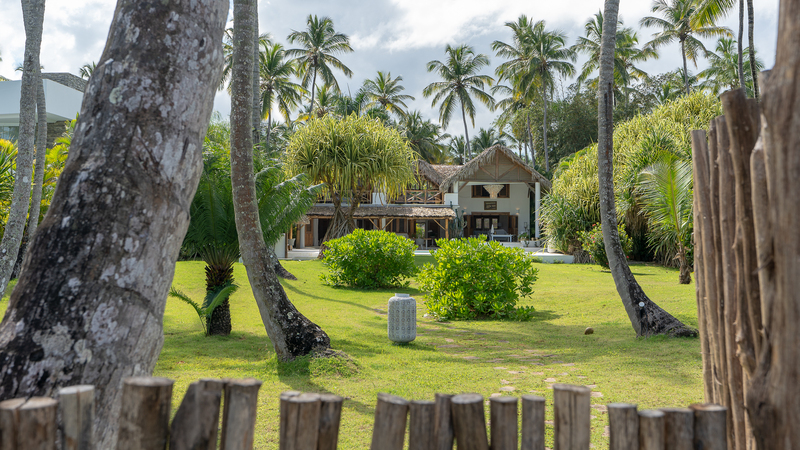 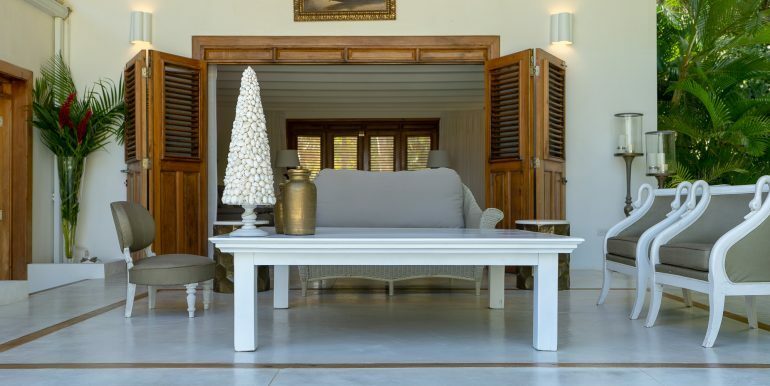 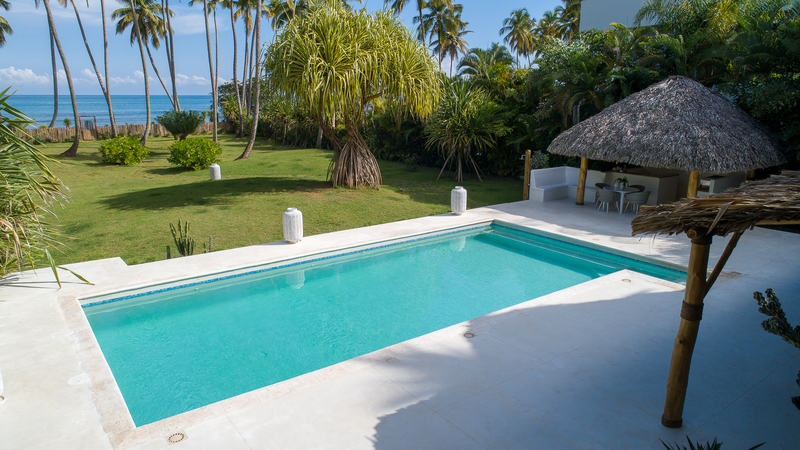 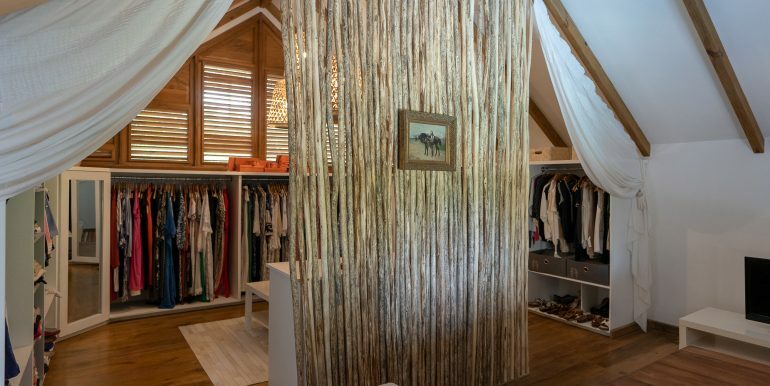 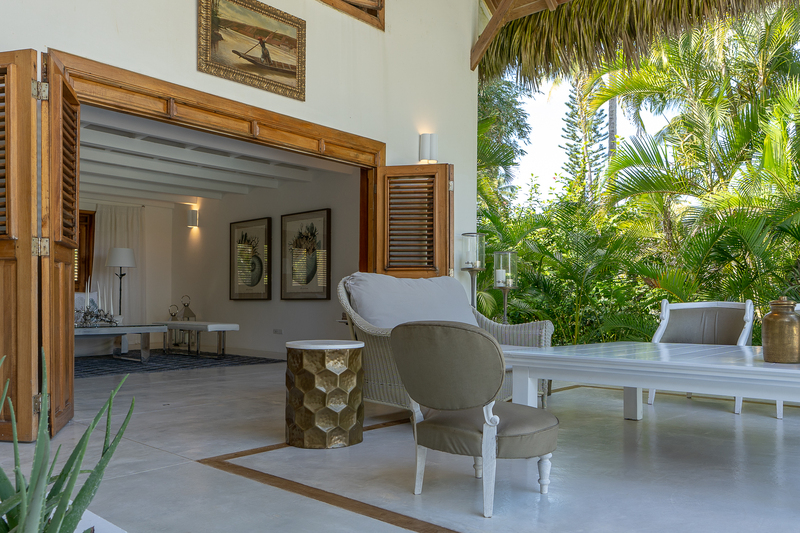 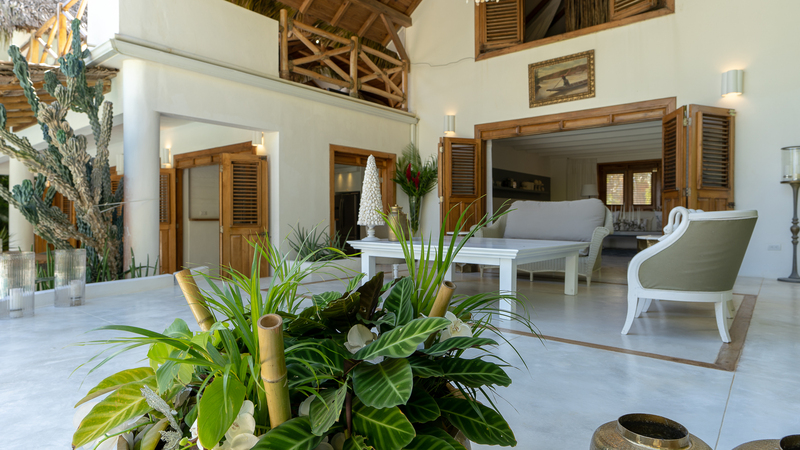 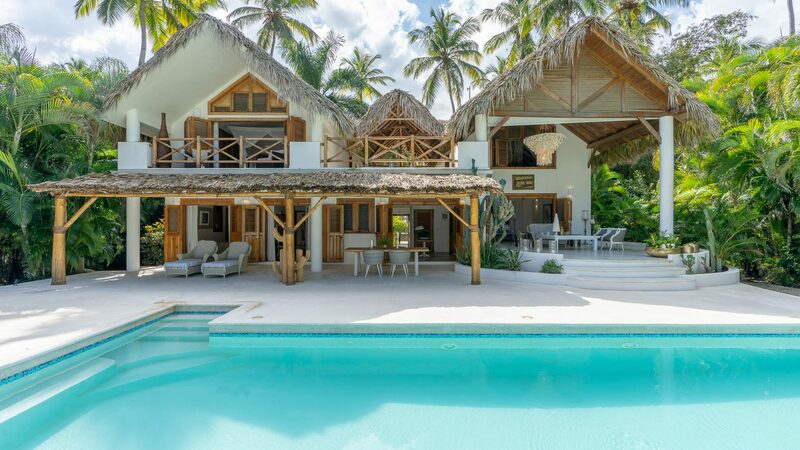 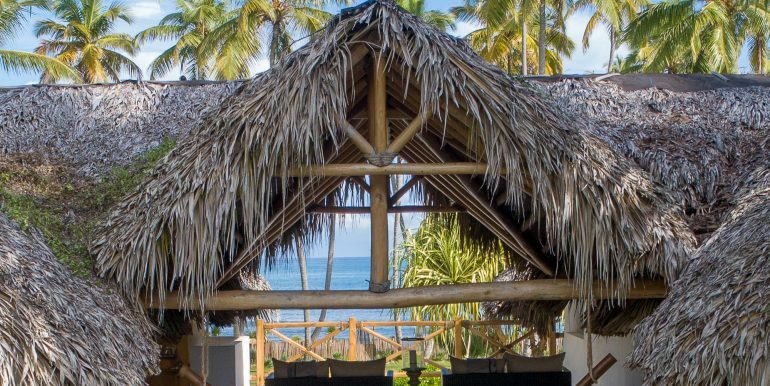 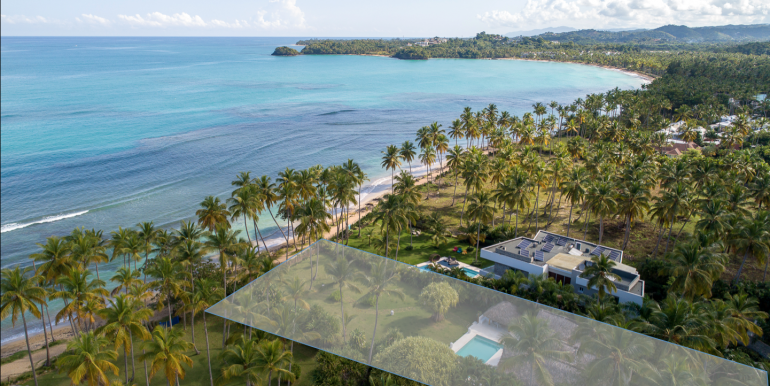 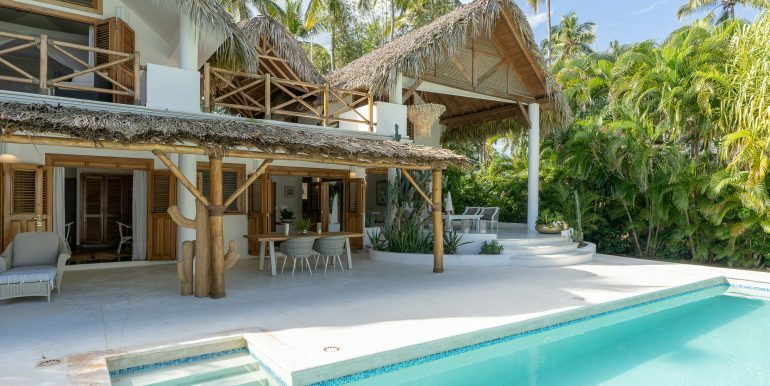 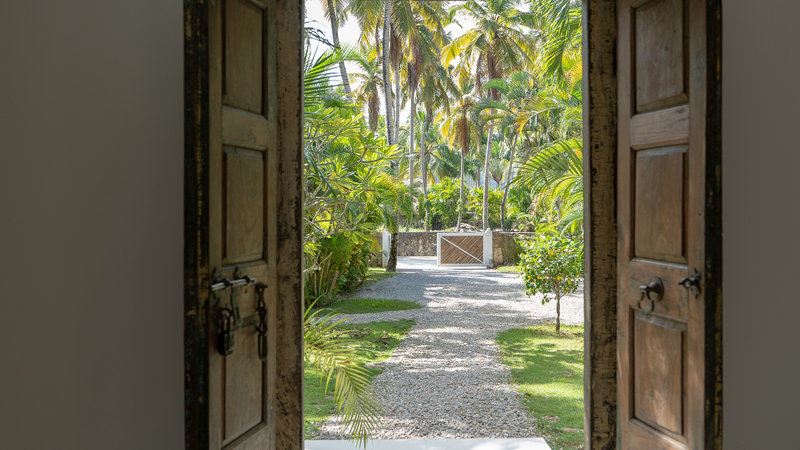 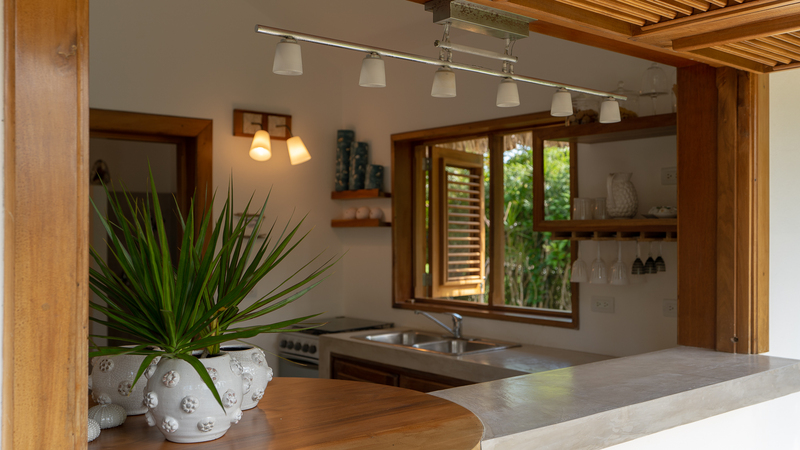 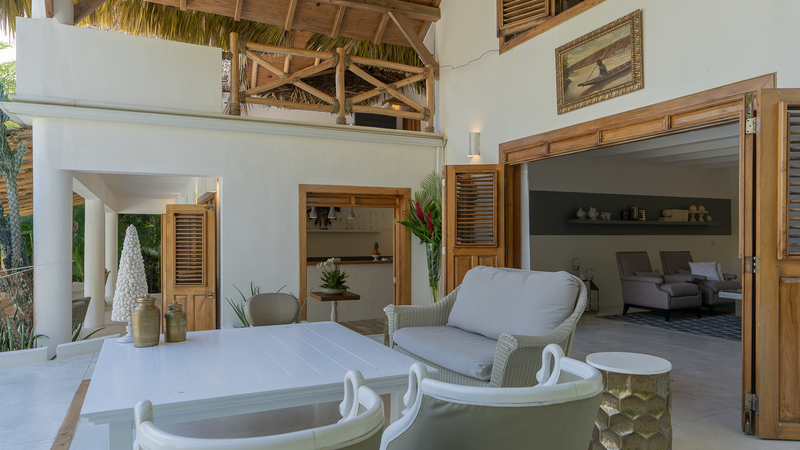 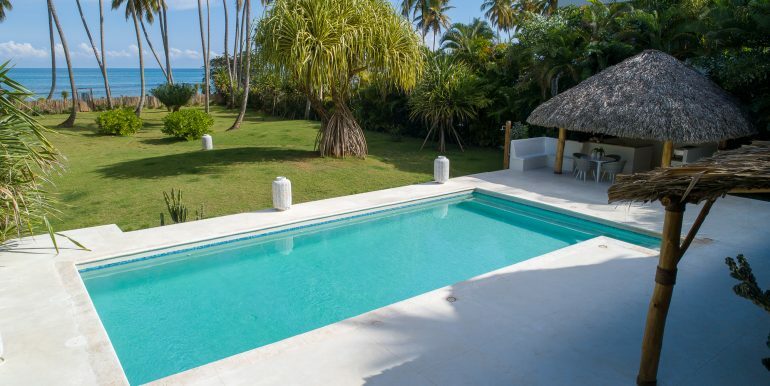 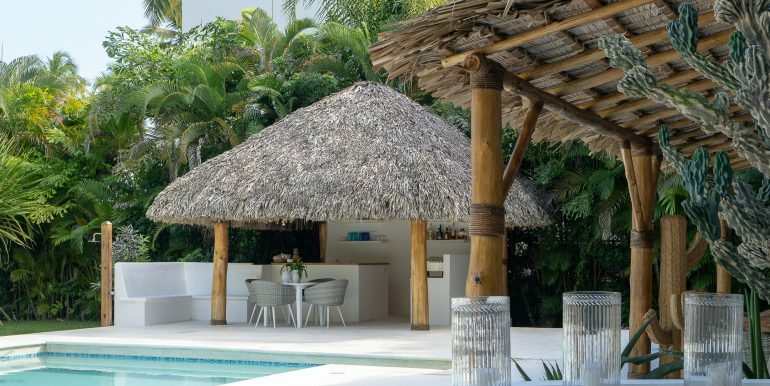 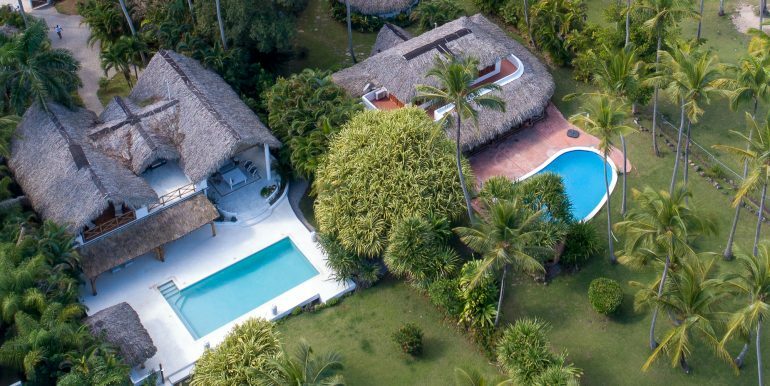 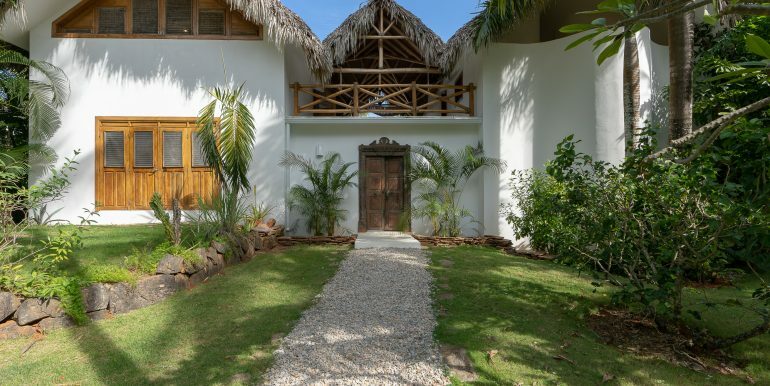 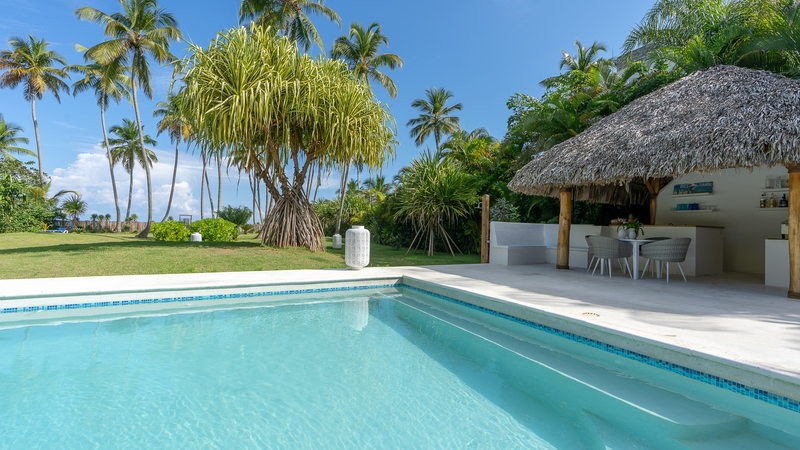 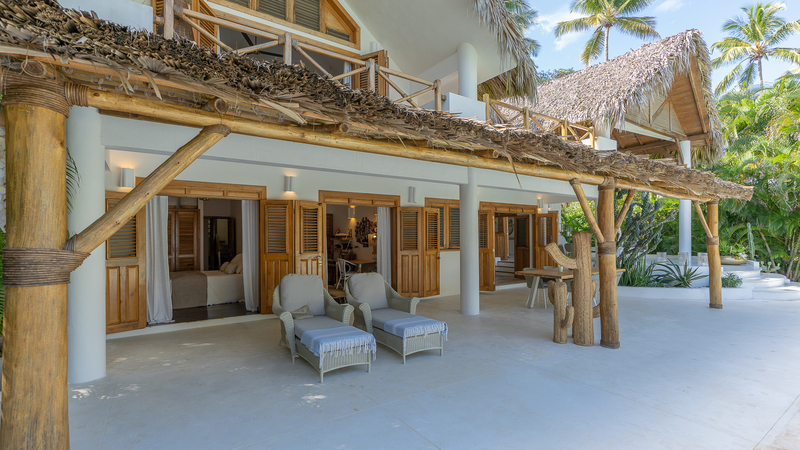 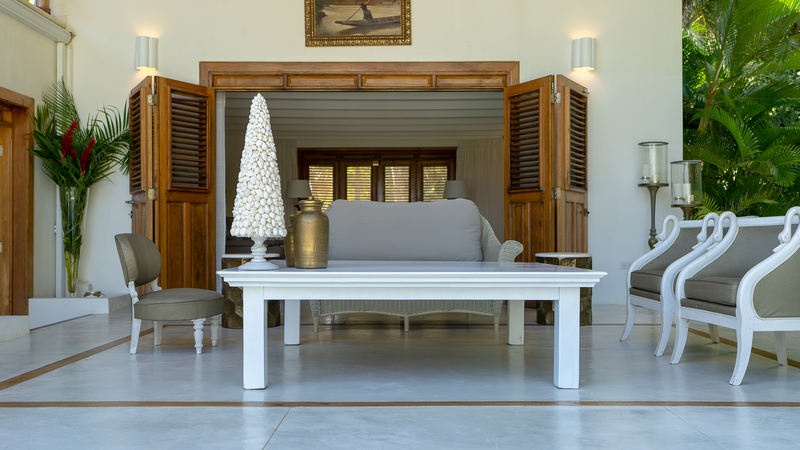 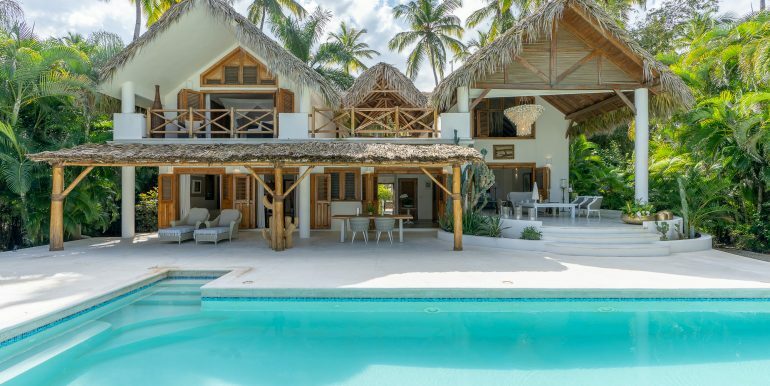 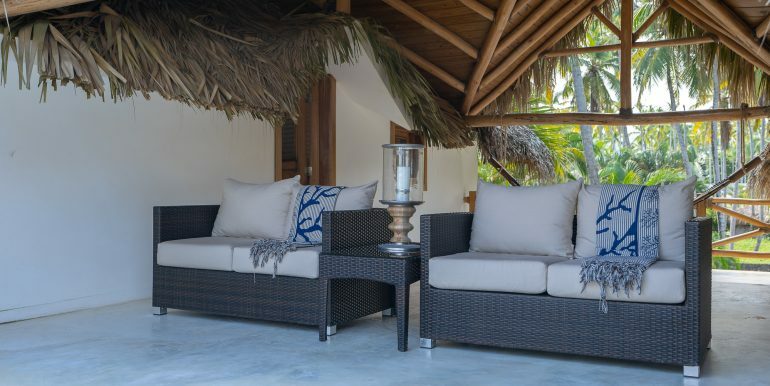 This Playa Bonita beachfront villa is located inside Cap Bonita community, at Las Terrenas. 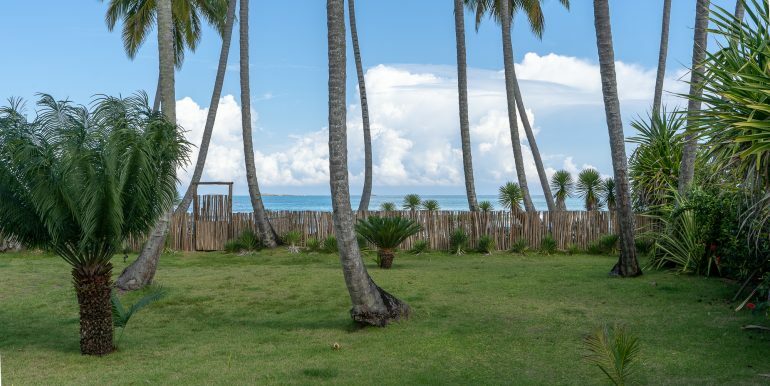 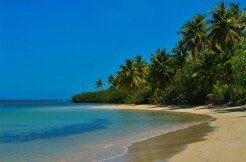 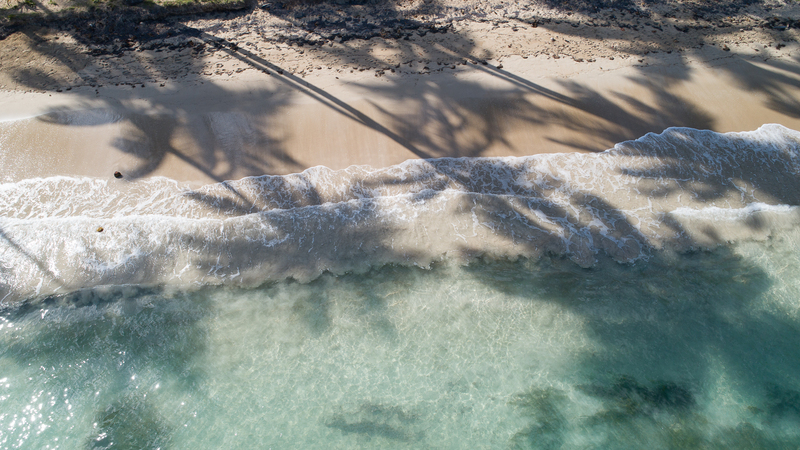 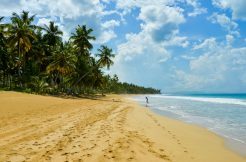 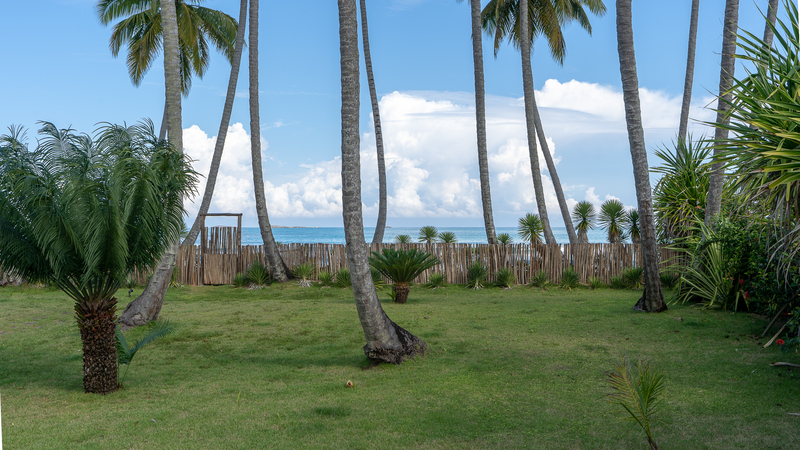 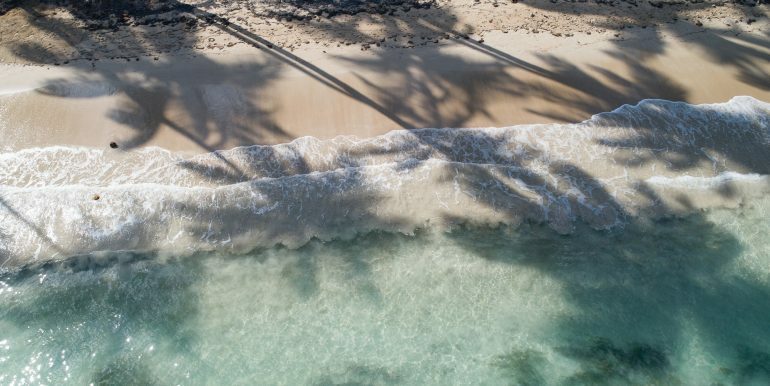 The property is located directly on the beach. 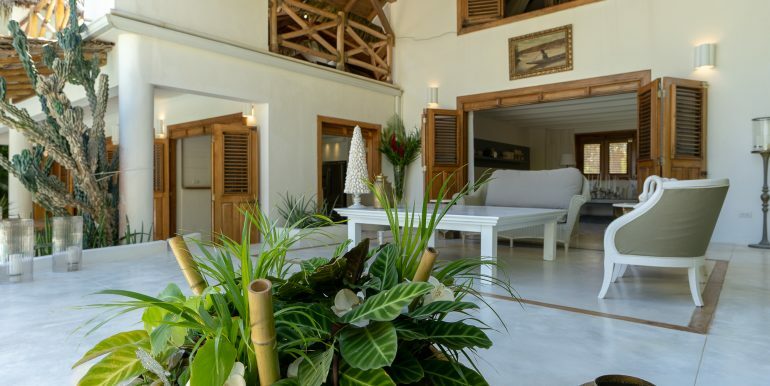 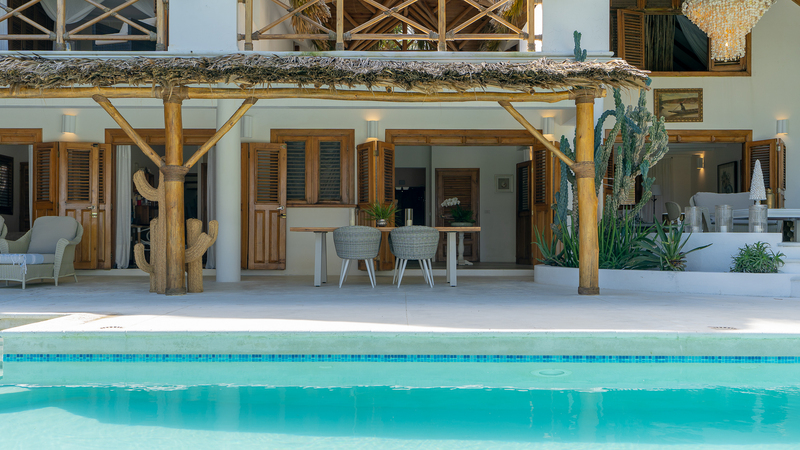 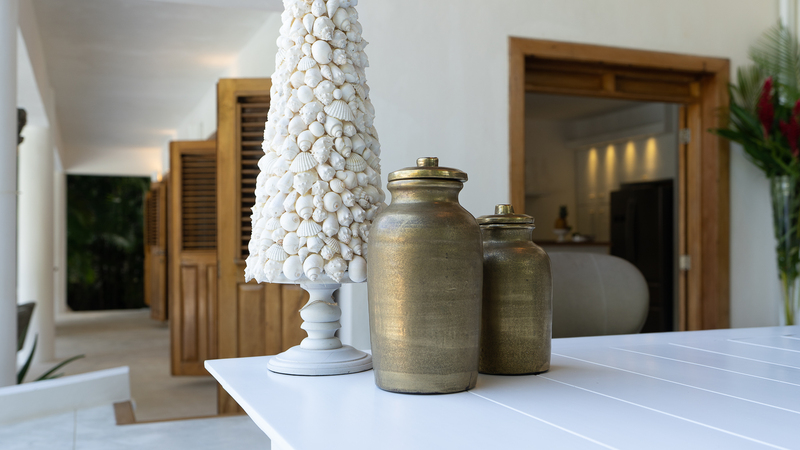 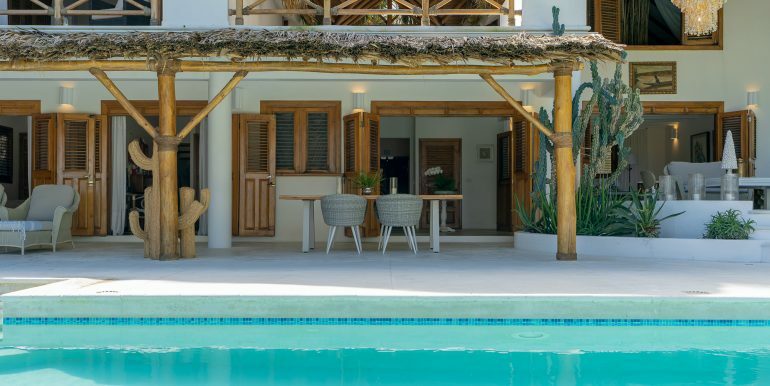 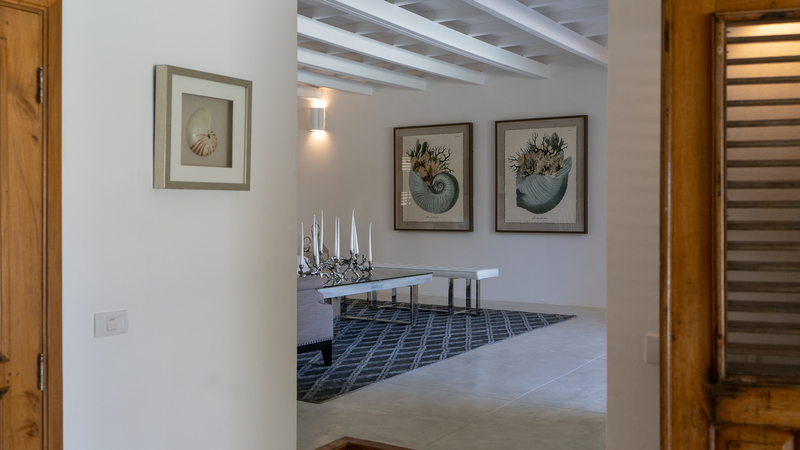 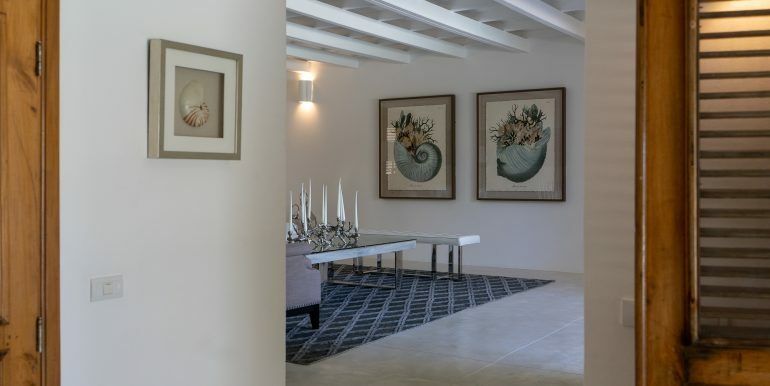 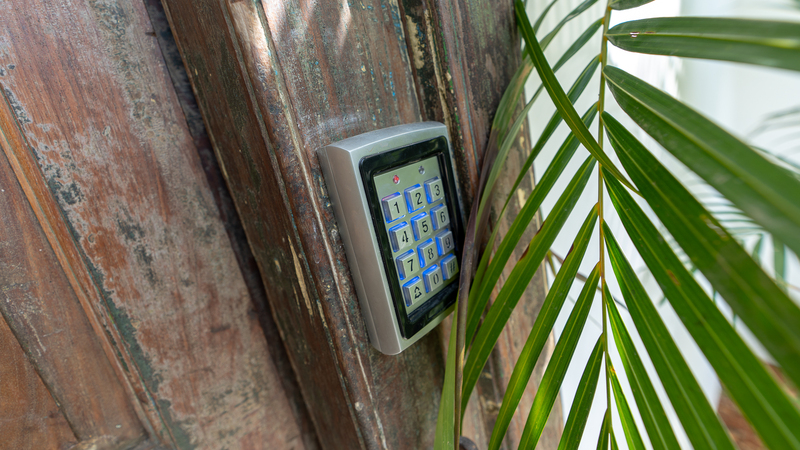 The main villa has on the lower level 2 bedrooms/2 bathrooms, salon, kitchen and entrance. 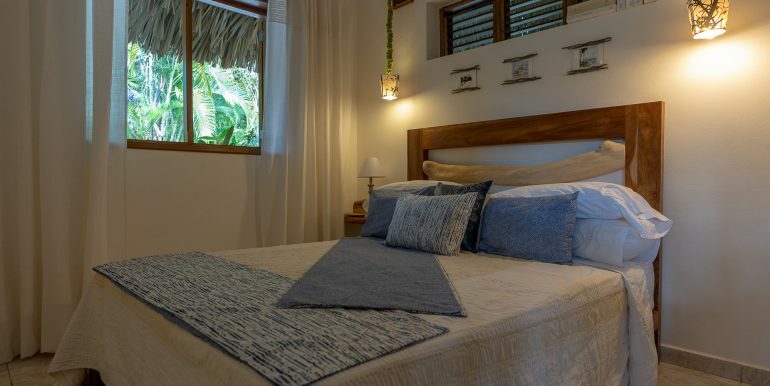 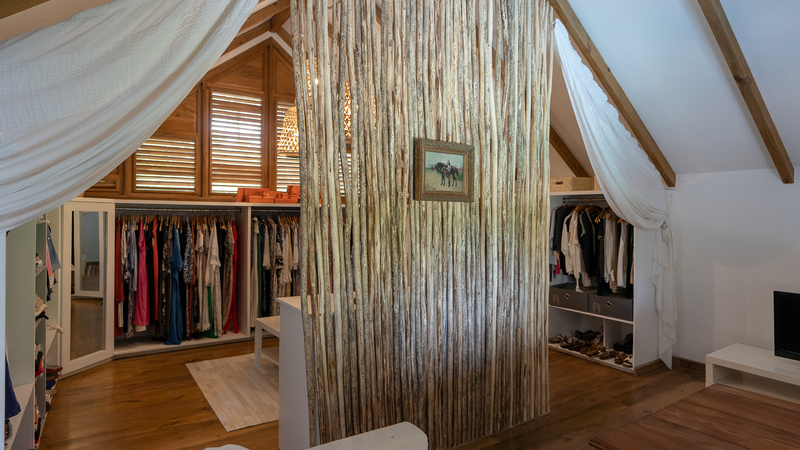 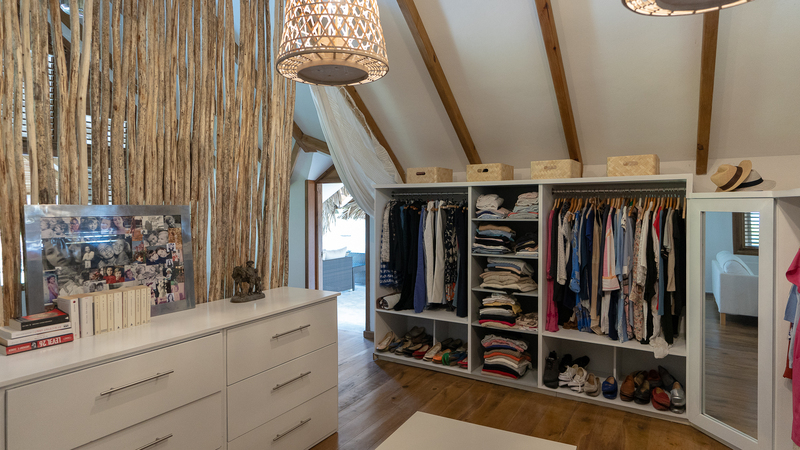 The entire upper level is the master bedroom, bathroom, private master terraces from which one a very spacious one, huge walk-in closet with sofa and tv. 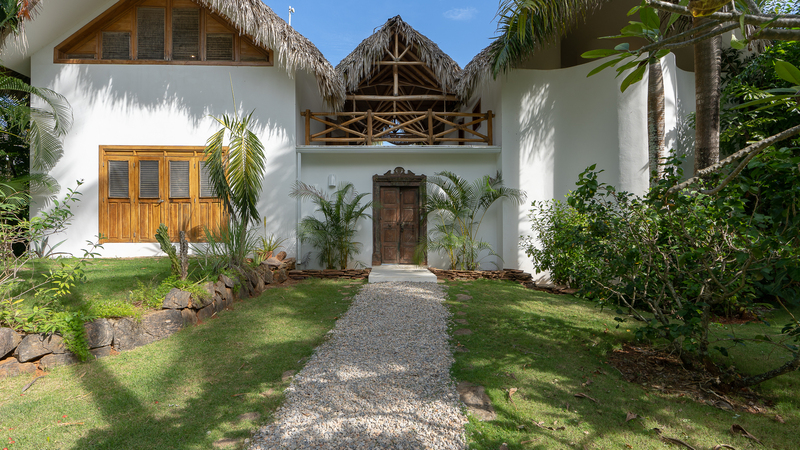 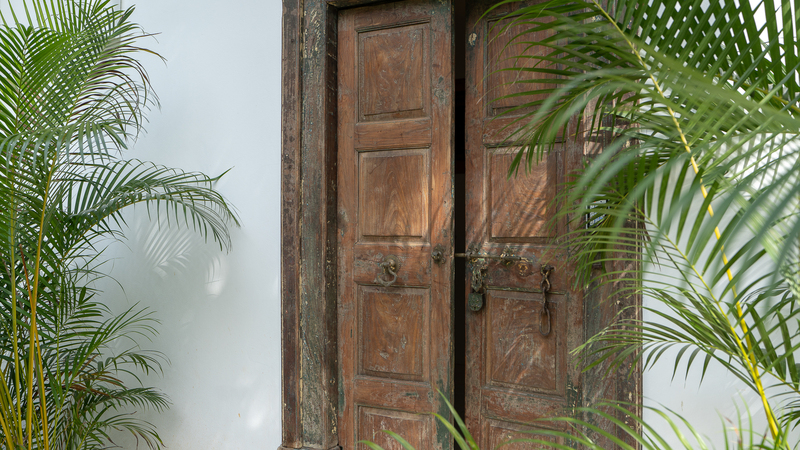 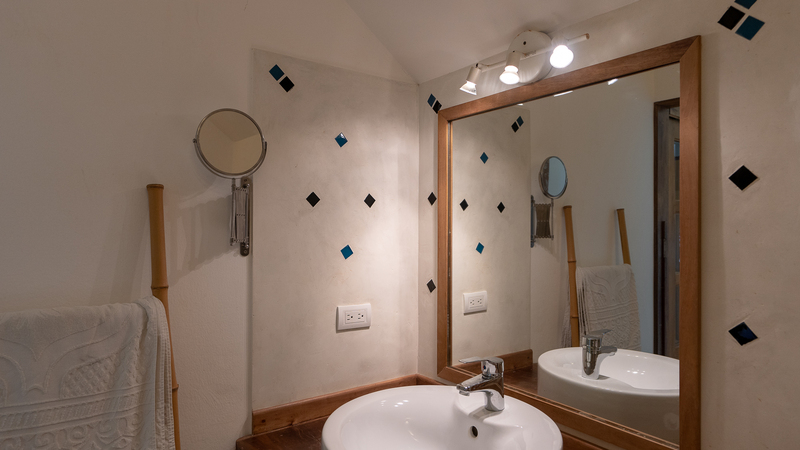 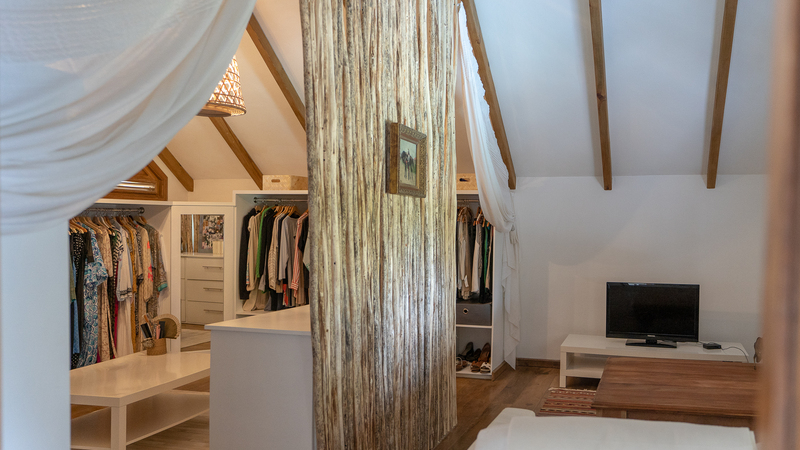 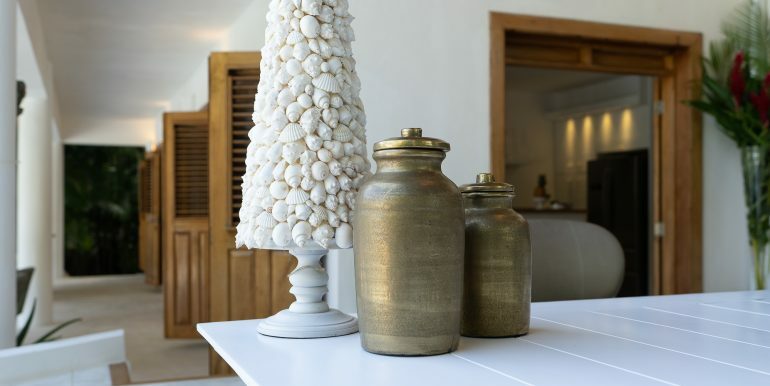 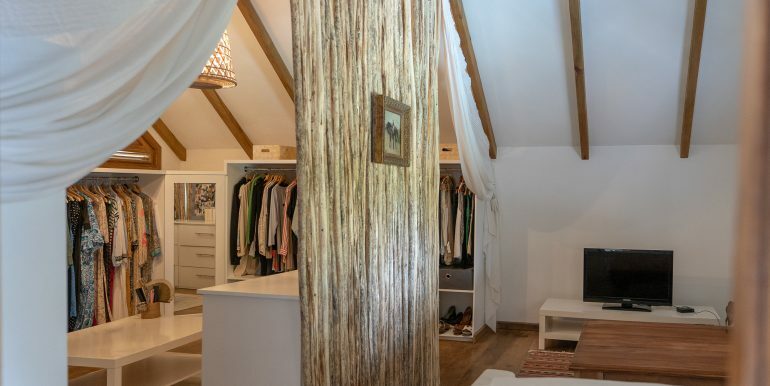 At the entrance a fully equipped bungalow with salon, kitchen, bathroom, and bedroom. 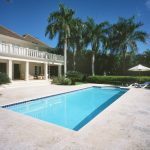 The property has private parking, carport, fully equipped laundry, nice pool, pool gazebo and of course the beach. 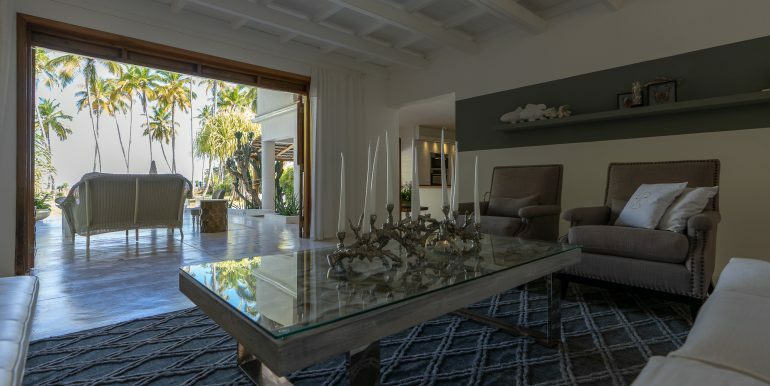 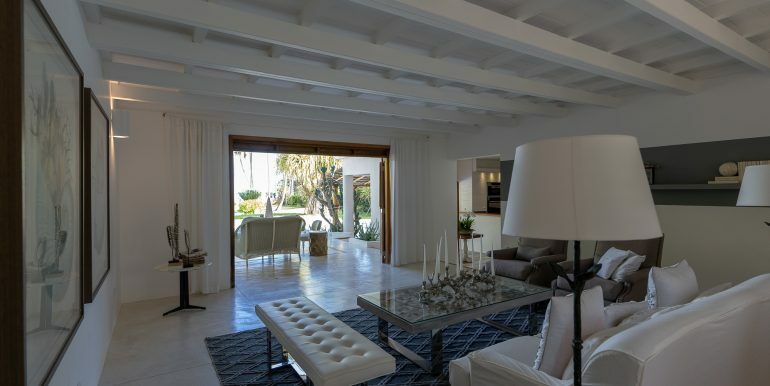 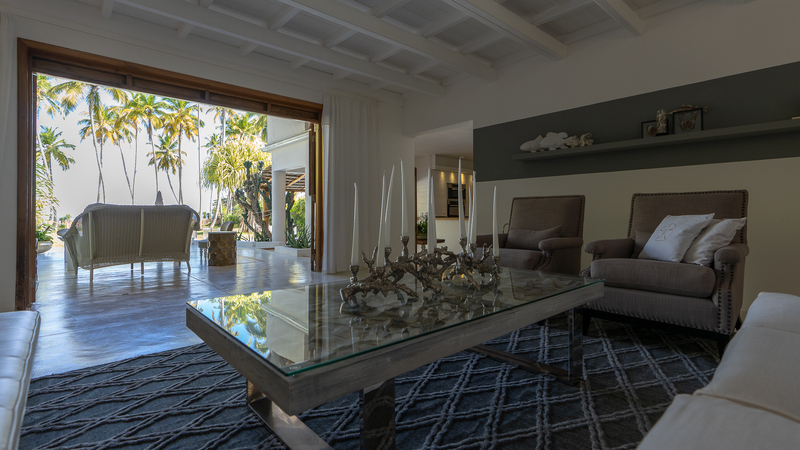 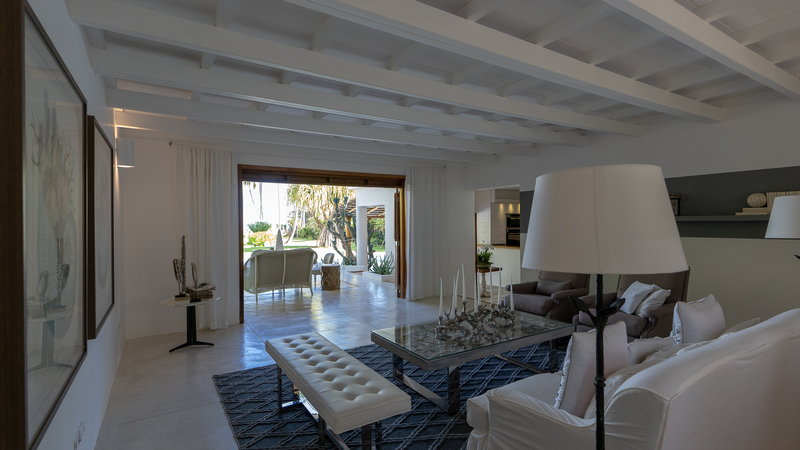 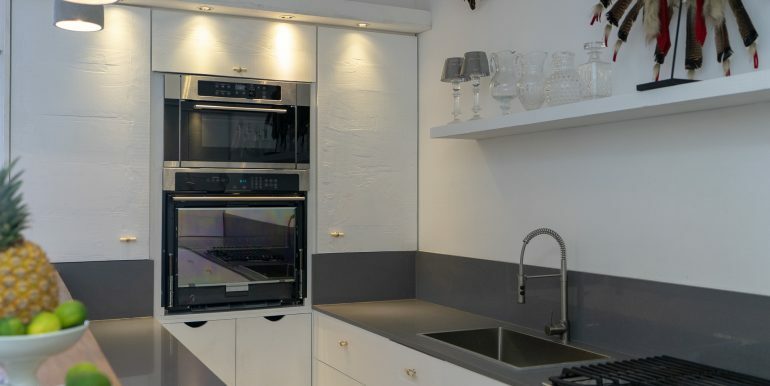 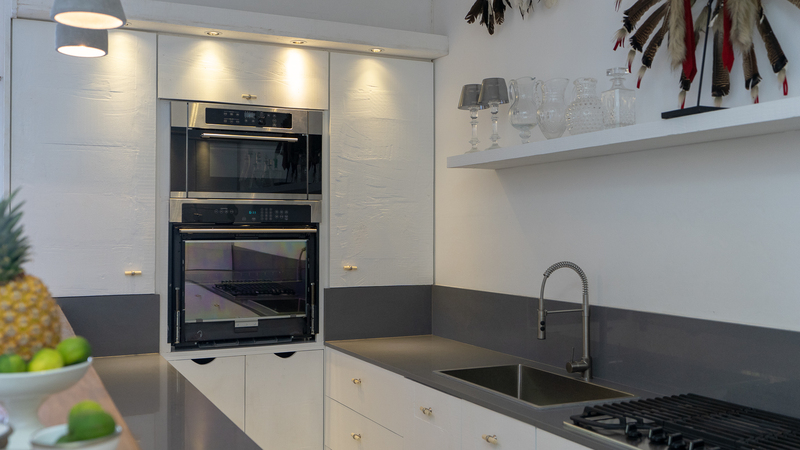 The home is fully remodeled and just finished, done by famous French interior architect. 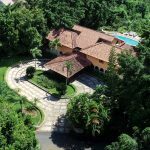 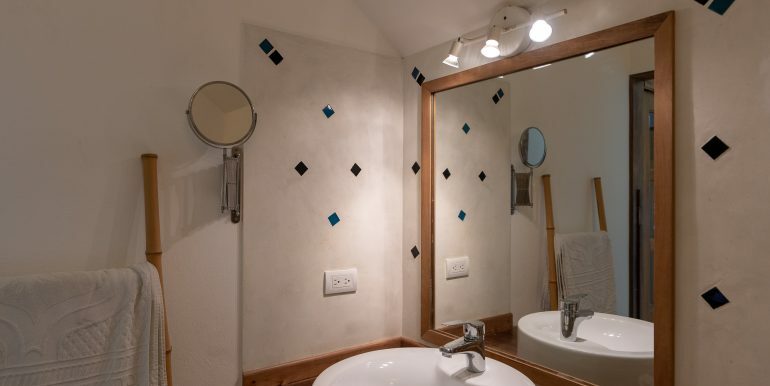 The property comes fully equipped as-is on the pictures, without 1 painting, the car and the quad/atv. 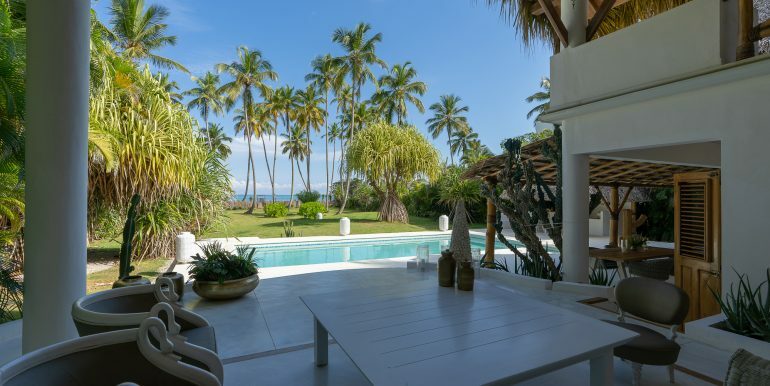 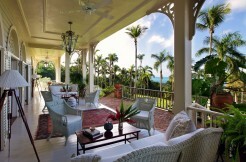 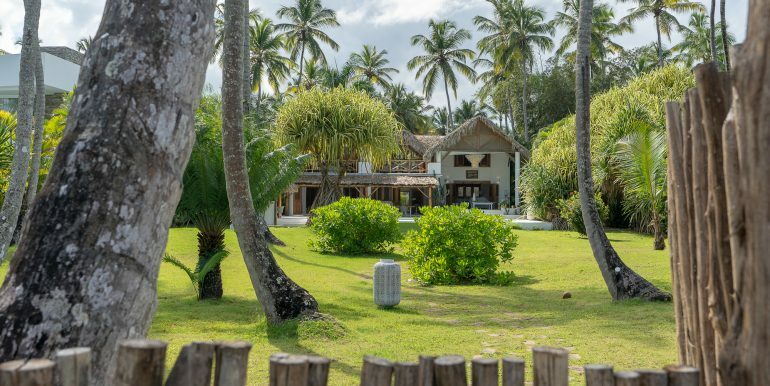 The perfect villa on the beach, for living, a weekend or vacation property.